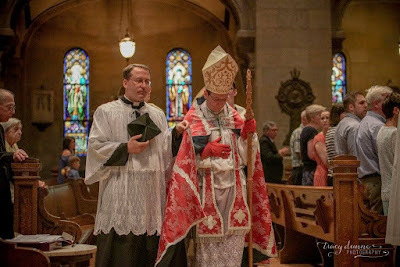 Something of a principle I've established for myself in my blogging retirement (which suddenly seems more and more like a semi-retirement) is that it is likely going to take significant events, like the recent Chartres Pilgrimage or Sacra Liturgia Conference in Milan, to drag me temporarily out of my blogging slumber. I think what I am about to show you qualifies, both as an event and also for the sheer beauty of all the liturgical arts and ceremonies you are about to see. 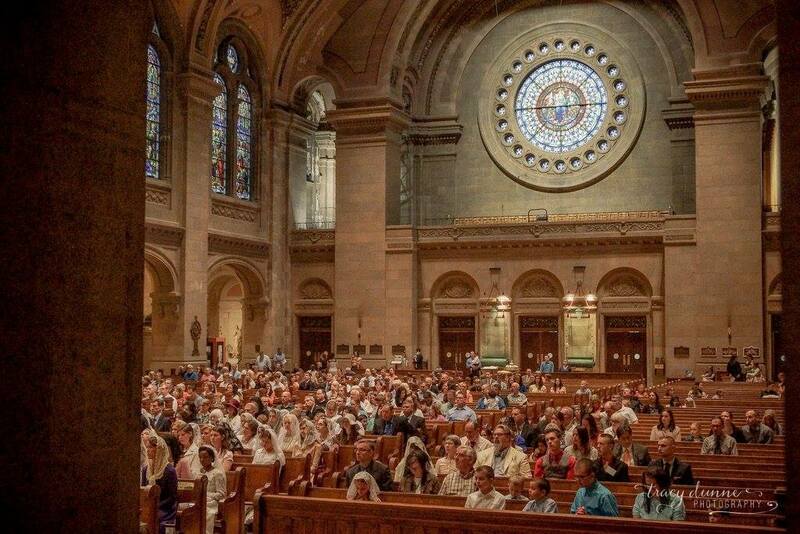 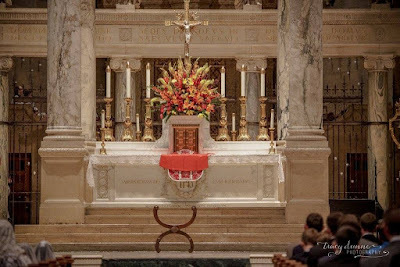 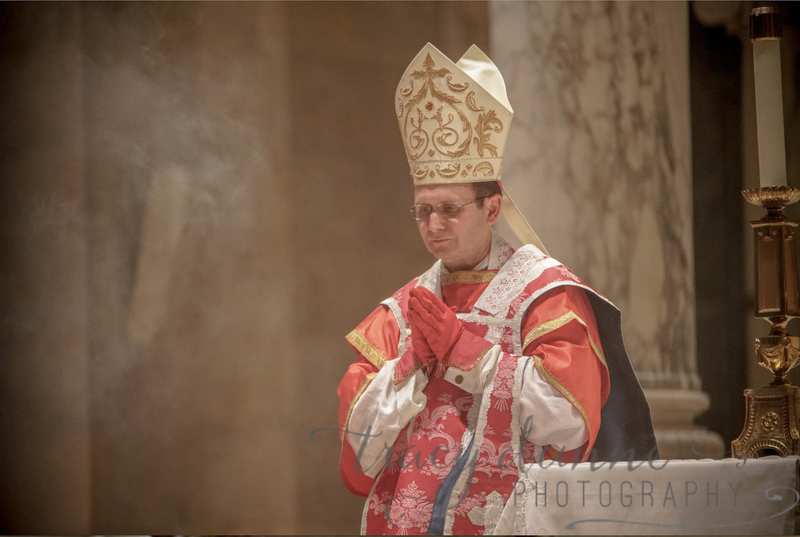 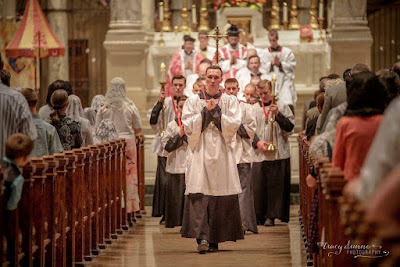 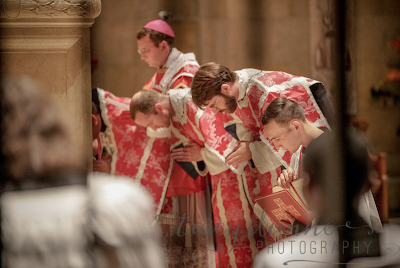 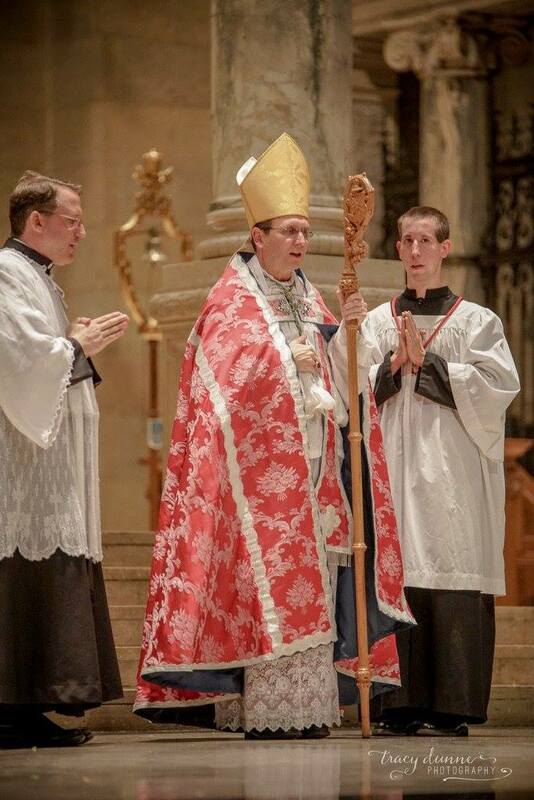 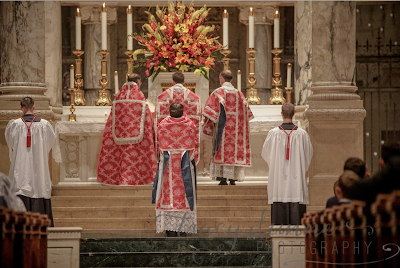 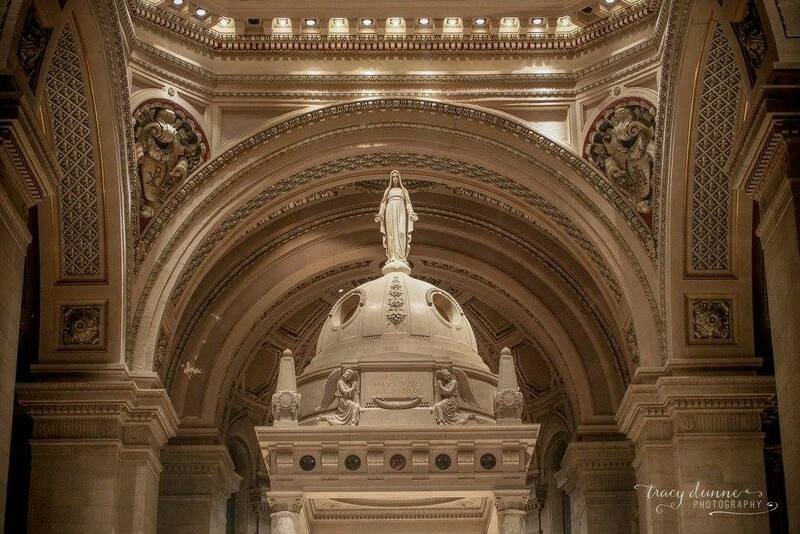 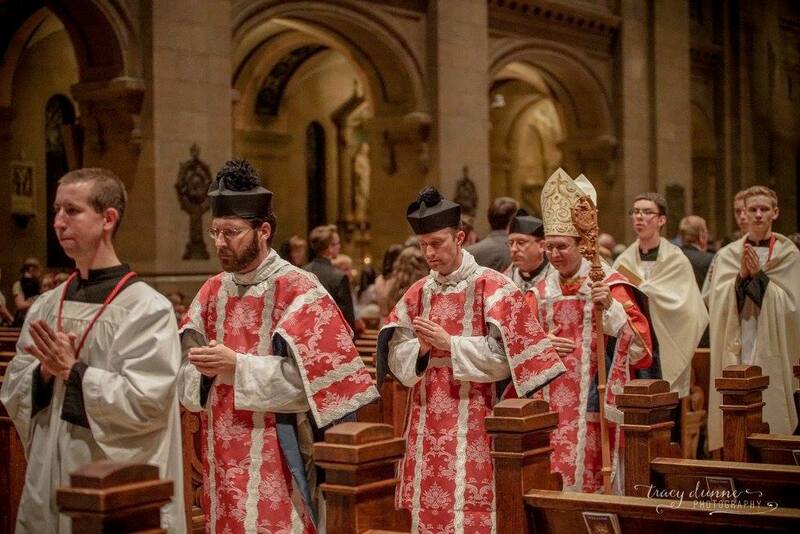 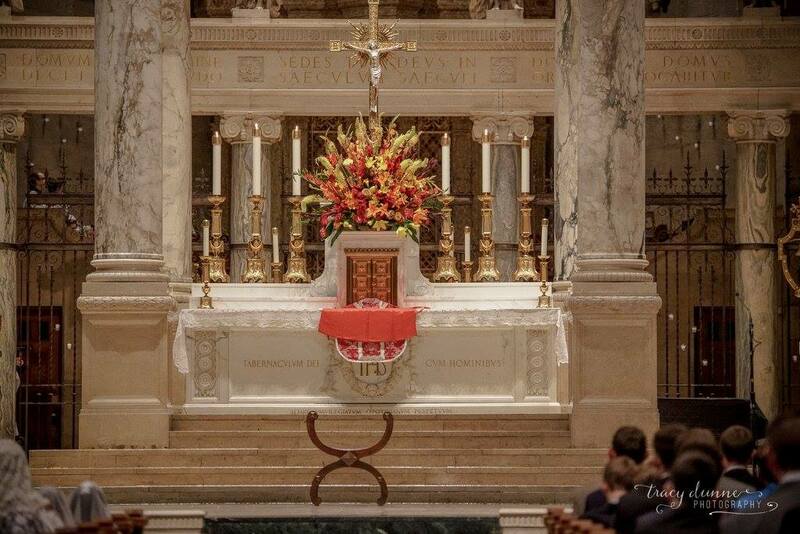 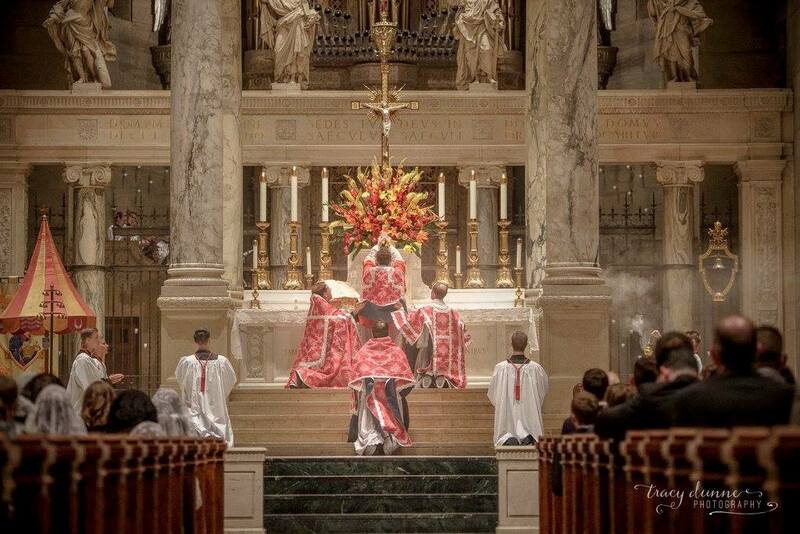 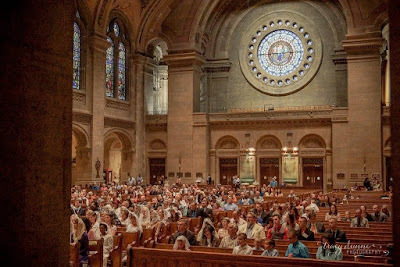 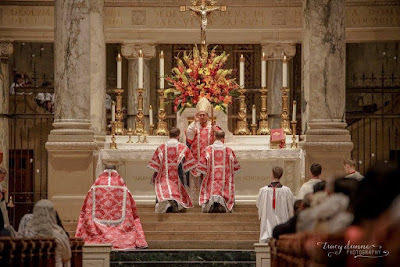 The event in question was a Solemn Pontifical Mass held, in what I understand in the first time in a very long time, this past June 7th in the Basilica of St. Mary in Minneapolis, Minnesota, by His Excellency, Bishop Andrew Cozzens. 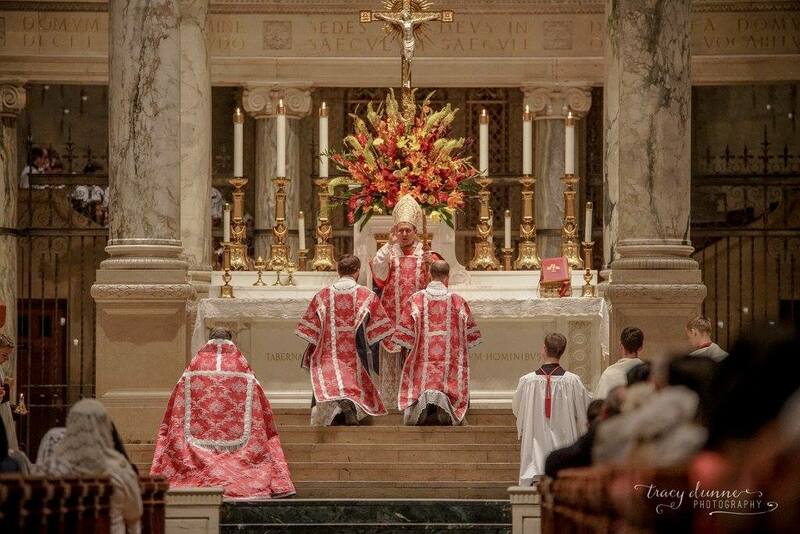 In point of fact he was there to both celebrate a Pontifical Mass from the Faldstool and to perform confirmations. 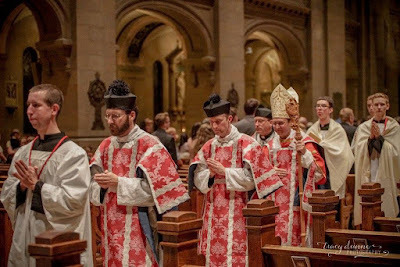 Before I proceed with the photos I should note that the musical setting of this Mass was Palestrina's masterwork of renaissance polyphony, the Missae Papae Marcelli -- the polyphonic composition that is said to have preserved the possibility of polyphony as a form of Catholic liturgical music. 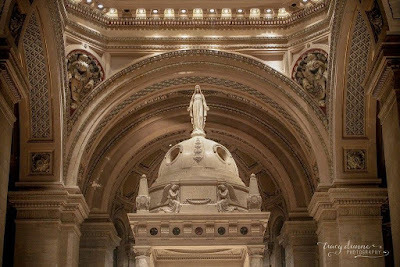 One could hardly ask for a better musical setting and, what's more, one could hardly ask for a better architectural setting for a historic Mass such as this than the Basilica of St. Mary -- a neo-classical building that is as stunning on the outside as it is on the inside. Inside, we still have the high altar, splendidly proportioned and covered by a ciborium magnum. 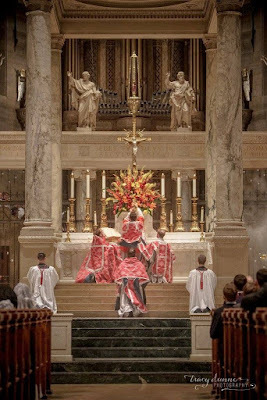 Beyond the architectural magnificence of the building, it was edifying to also see a very pleasing set of baroque vestments in the French tradition used for this liturgy.